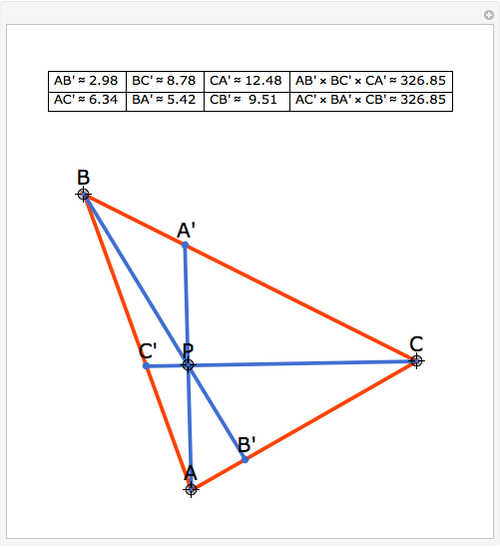 Let P be a point inside the triangle ABC. 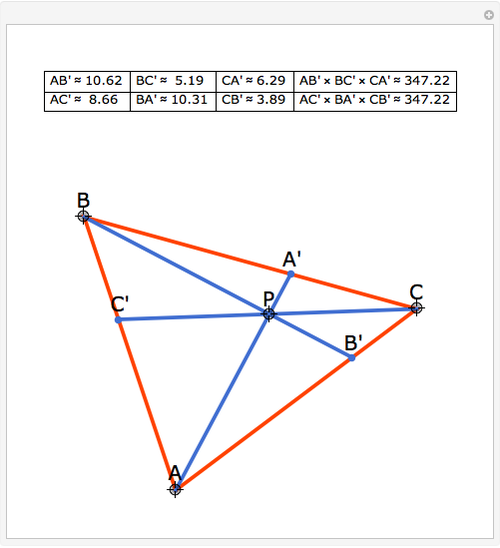 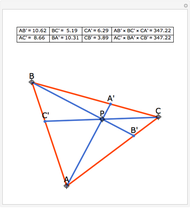 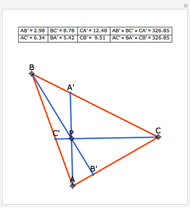 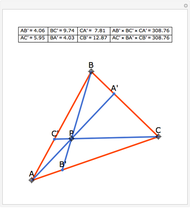 Draw lines from A, B and C through P to the points A', B', and C' on the opposite sides. 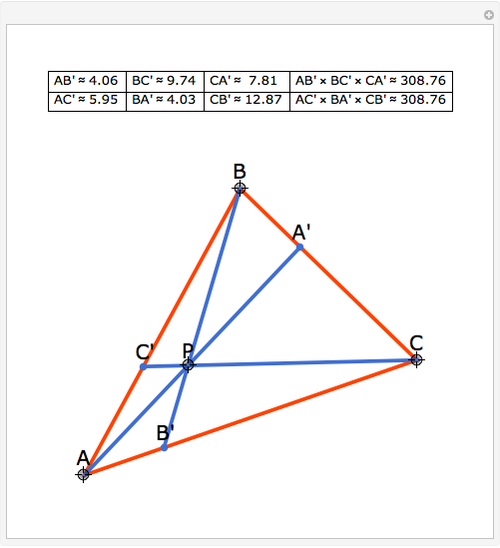 Then AB'×BC'×CA' = AC'×BA'×CB'.